Cornstarch is a fine, powdery starch that is made out of corn. The cornstarch is actually made from the endosperm of the corn, which makes up most of the kernels that we eat when enjoying popcorn or corn on the cob. Cornstarch, also sometimes called cornflour (or “corn flour”), is produced by grinding, washing and drying the endosperm of the corn – the part between the outer husk and the inner seed – until it reaches that fine, powdery state. Cornstarch is gluten free. Cornstarch has many culinary uses, but it is most often used as a thickener for sauces, gravies and fruit pie fillings. Cornstarch thickens very quickly and easily, and forms a clear sauce after cooking, rather than an opaque one. It has roughly twice the thickening power of flour, and while it is flavorless after cooking, it does need to be cooked for a short period to remove any starchy flavor from the starch, as well as to give the mixture it is used in a chance to thicken. Unlike flour, cornstarch will clump up if added directly to hot liquids and must be mixed with a small amount of color liquid before being incorporated into something hot, such as a gravy or a pudding. It if is added to a cold mixture, it does not need to be prepared in any way before cooking and will dissolve as the mixture heats up. If cooked for an extended period of time, or whisked too vigorously, a mixture thickened with cornstarch can break. Arrowroot and tapioca are both good substitutes for cornstarch when it comes to thickening power. Cornstarch is also included in many baked good recipes, and is often used in conjunction with flour. 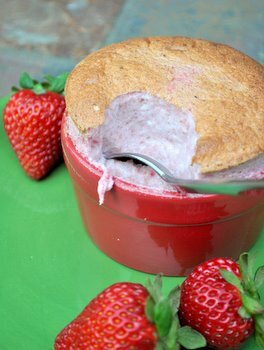 Since it is gluten free, cornstarch can help add some structure to a baked good while increasing its tenderness. It appears very often in shortbread recipes, where bakers are looking for a very crumbly and tender texture in the finished product. Another common way of using it is adding a small amount of it to all purpose flour to make a substitute for cake flour. You will also often see it included in batters, where it helps contribute to a light crust after frying. This post made me think of the “Freaky Eaters” show – there was a lady who was OBSESSED with Corn Starch..it was nasty…I think it was corn starch…or corn meal…anyways! Two comments, Nicole, and as always thanks for your clear and helpful entries. I have recently seen other Besos recipes that use wheat flour and pair 2 cookies with jam, but using cornstarch produces a very different texture. I also use cornstarch to release dough when working with wooden cookie boards as the texture is so fine and almost silky. I hardly use cornstarch though in making chocolate puddings it is very useful as a thickening agent. I love the packaging of this featured product love the design in the front and the in your face mustard yellow color as well as the complimentary purple cover. Love it! Since I am gluten-free, I use starches quite a bit in baking. Because most corn products are GMO (genetically engineered organism), I was shying away from cornstarch and mostly using potato starch and tapioca flour/starch. Now that I found out that Bob’s Red Mill makes a GMO-free cornstarch I will be using it more often now. It is a great asset to gluten-free baking! Thanks so much for your detailed post! Hi Nicole, not sure if you can answer this question, but I’m hoping you can! I recently made a pudding that had cornstarch in it, and it ended up with a slightly floury texture. 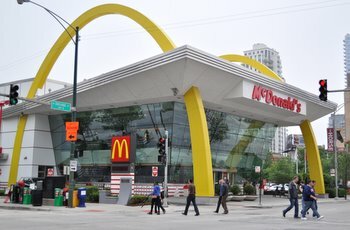 The taste was fine and not floury at all, but the texture was slightly off. I’m assuming this has something to do with the cornstarch, but I’ve done some research and can’t quite figure it out. Any thoughts? Thanks so much! Alexandra – It sounds like not all of the cornstarch may have been cooked out of your pudding, either because the cooking temperature wasn’t quite high enough (or it wasn’t cooked for long enough) or because there was simply too much in the recipe. It’s hard to say what the exact problem might have been without tasting it, but these are the most likely causes. I hope that helps! Hi nicole, im drom malaysia im a new learner in doing crispy cracker. do you have any idea to make crispy “keropok”(cracker) ? Kind of starch and flour ?looking forward your reply thanks. Soo Ling, You can start with any recipe that sounds good to you, but one with a starch like cornflour in the recipe will probably have a lighter texture. Be sure to roll the dough very thin before baking, as the thinner the cracker, the crispier it will become during baking. Thanks so much for the info. Kids’ science teacher is requesting donations and I wasn’t completely sure what it was. Is corn starch what we called Corn flour in South Africa. We use it to thicken gravies , etc. ? Corn starch same as corn flour not corn meal (seed). You can eat with but your water must be hot boiling water. Add sugar and milk it good for nursing mothers it helps the milk flows very well. Although I’m not a fan of corn starch. 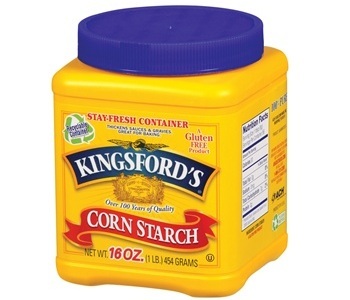 I would like to know where I can buy cornstarch from Kingsford in Holland.